Travelers looking to escape the energy and excitement of Okinawa can find a relaxing respite on the shores of Ishigaki Island. 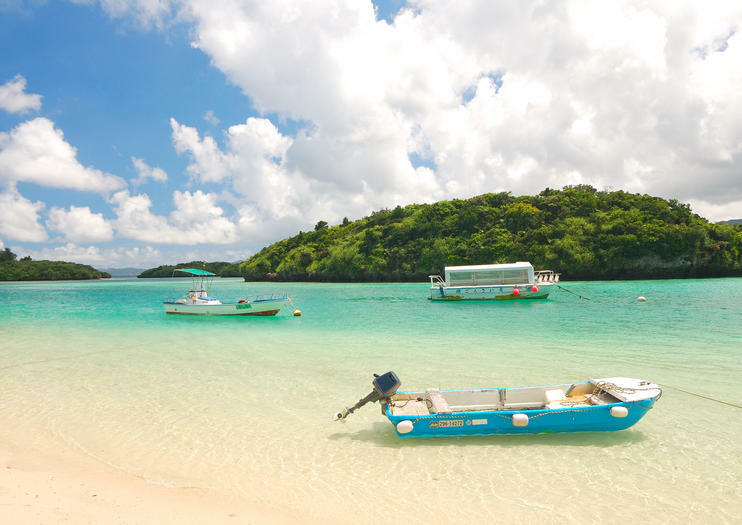 Although this popular destination ranks among the Yaeyama Islands’ most populated centers—the silver shores of Ishigaki are a globetrotter’s delight. Visitors can float across the emerald waters of Kabira Bay aboard glass-bottom boats and wander around Kabira Park promenade where epic views are prove to be more than photoworthy. Well-kept dressing rooms complete with showers and toilets, shaded areas and shallow waters make Sukuji Beach ideal for families looking to wade through the coast’s crystal clear waters. And travelers without small children will love the uninterrupted views of Uganzaki lighthouse in the far distance. Yonehara’s coral reefs attract both novice and experienced snorkelers who say the close-to-shore aquatic life is some of the best on the island. Although inexpensive boat trips can be purchased last minute from luxury liners that have not reached capacity, there is no official ferry service to the island. Most travelers arrive and depart via Ishigaki Airport, and while taxis, bicycles and buses are available on the island, visitors agree the city is easy to explore on foot.